We have successfully begun construction on our new parish community center! I appreciate your cooperation and attention as we have adjusted our carpool procedures to create a safe and secure construction zone.Thank youto all those who drop off and/or pick up students from school for following our new routine. David Ramirez, our Maintenance Man, will be leaving St. Perpetua at the end of this month.We want to thank David for all his hard work and wish him well in his next venture. Don't forget that nextTuesday, October 31, is anoondismissal.Our Halloween parade will take place at11:00on the upper lot field. Parents can park on the upper lot. Student costumes must allow for regular classroom learning prior to the parade and be appropriate in all other aspects including adequate length and coverage and no weapons of any kind. After the parade, all classes will return to their classrooms for dismissal. The followingFriday, November 3, is our annual Disaster Drill. Students will only be released to those listed on the student emergency sheet and any adult picking up students must be prepared to show a photo ID. Conducting this annual drill prepares students, staff, and parents should the need ever arise to evacuate the school, and also helps us to continually evaluate the effectiveness of our plan. We appreciate your cooperation as work to ensure safe procedures for all. 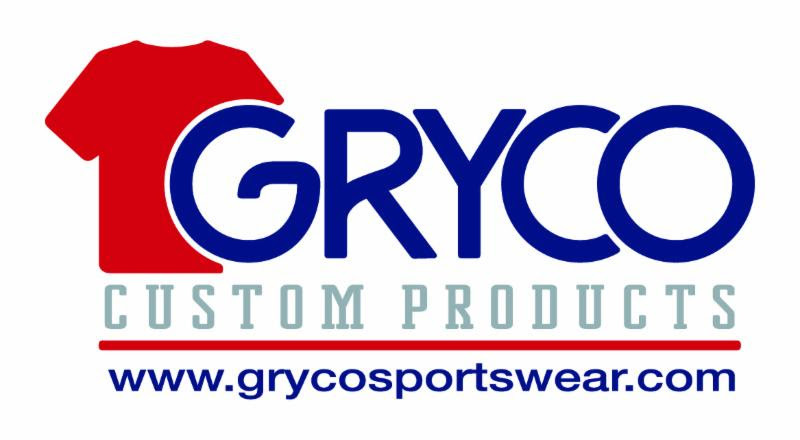 School outerwearfor your students, along withadditional Spirt Wearfor adults, may be ordered online throughGryco Sportswear. If you would like to order outerwear for your student,clickherefor order link.The link will be open throughThursday, November 9th. Now that we have started construction, we have a few adjustments to our class locations for snack recess and lunch recess.Grades 1 & 2 will eat their lunch and play in the lower level play structure, grass lawn, and amphitheatre areas.Two staff members will supervise these children. Students in Grades 3-4 will eat their lunch in the lower eating area and then cross over to the upper level play area at12:45.Our lower-level yard-duty parent will start their shift in the lower level eating area and then go to the upper-level play area to join our other staff members in play area supervision. Our Annual Tuition Assistance Campaign begins this week!We are kicking-off our 11th annual fundraising campaign, and 100% of your donations will go directly to support tuition assistance at St. Perpetua School. Last year we renamed the Annual Fund the Tuition Assistance Fund in order to help families better understand the purpose of how these funds are used. We will hold our annual disaster drill onFriday, November 3rd.Although we hope to never need to implement these procedures, it is imperative that we all review and practice the various aspects of the plan.On that day ALLstudents are picked up between11:15 and 11:45in the new plaza area at the end of school building near the cross walk. Students CANNOT walk off campus on this day.Clickherefor the Emergency Drill form that you can fill out in advance. Students will only be released to those listed on their student profile andALL adults MUST show their ID.If someone other than the parent or another personalreadyon your Emergency/Authorized Pick-up list will be picking up your child on the day of the Disaster Drill, please email Suzanne Kozelskozel@csdo.orgwith that authorized person's name.Panther House is closed that afternoonso that we can review the drill as an entire staff. Ghouls & Boys, Mummies & Daddies - wear your costumes and join us for some Halloween Fun!There will be haunted hayrides, tricks & treats, fun-filled games, a pumpkin patch, and prizes for best costumes. 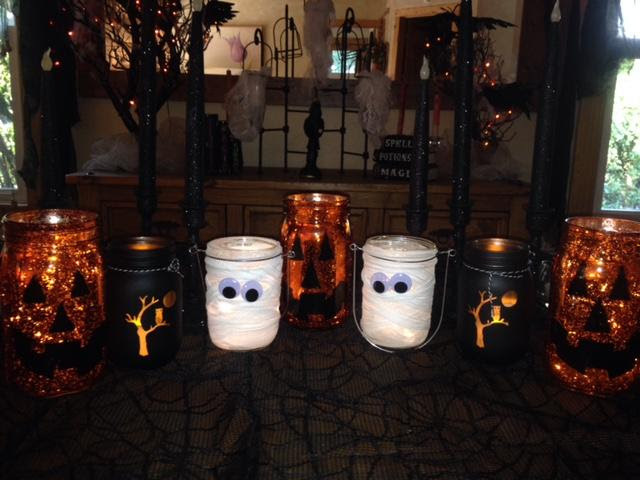 Don't miss this SPOOK-TACULAR event! 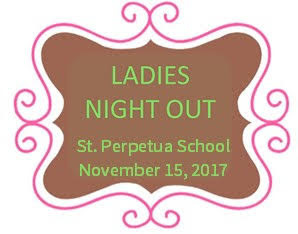 Price: $90 per family,100% of proceeds go to St. Perpetua School! Thank you to everyone for contributing to another successful book fair! As always, the proceeds from this event directly benefit our school. An extra thanks to the families that donated a book or two to their child's classroom from the teachers' wish list!We were able to donate a total of 76 books to the TK-8th grade classrooms! Faye O'Neilfrom 5th grade won the "Guess how many nuggets" are in the jar contest.She guessed 275 nuggets, and there were 276 in the jar.Her prize included special novelty gifts from the fair. Tina Hallwas the lucky winner for the raffle and won a beautiful canvas bag filled with a coffee travel mug, and two amazing art books. Winner for the class that bought the most books in the elementary school category4th Grade!This class will be rewarded with an ice-cream Social. 6th Grade!This class will be rewarded with an ice-cream Social. Thank you to all of the volunteers that worked very hard to make this a special fair for our children! One of the most important skills that I try to foster in students is to problem-solve appropriately. When students approach me with social issues that come up at recess (or when I am dealing with my own kids at home), I often ask them "How can you be a part of the solution with your actions and words?" OR "Are your actions adding to the solution or adding to the problem?" This gives them responsibility and ownership. Many times small arguments or misunderstandings go back and forth until someone steps up or steps-in to propose a solution. If students feel empowered to solve those small problems, their self-esteem improves and they will be better equipped to deal with other issues that come up. In the heat of an argument- when emotions, patterns and impulsivity take over, it is so hard to think clearly and react appropriately. 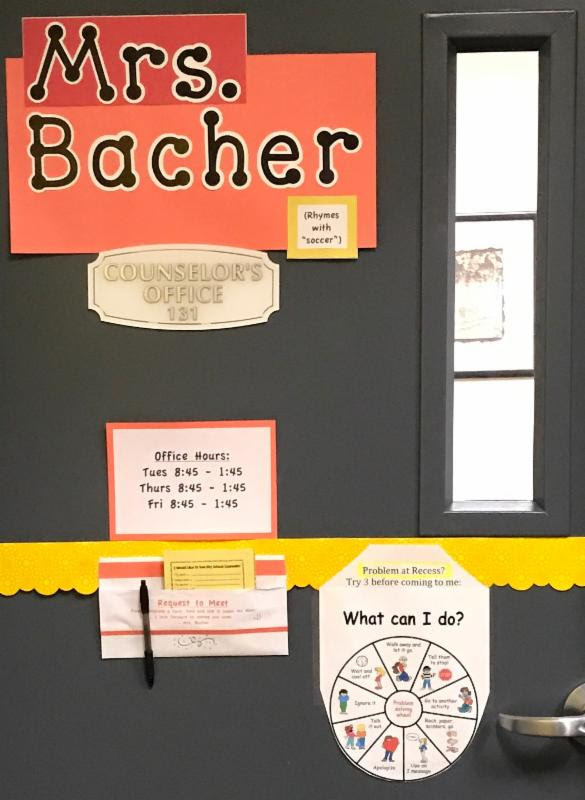 If we can consistently remind students to be "part of the solution" at school as well as home, we hope that students will more often display problem-solving skills as their initial response to a problem. Over the past few weeks, Mrs. Williams worked with the St. Perpetua 2nd graders on making their own "Wheel of Choice". The Wheels display some problem-solving options that students could consider when problems arise. Students proudly shared some creative problem-solving ideas with me when I recently visited their class. I now have one hanging on my door and one at home to remind us that we all have choices in our reactions to problems. Feel free to print onehereor - better yet - make one with your kids, so they have a say and a deeper understanding of their Wheel. October 31:Halloween has anoondismissal. Children will be dismissed after the Halloween Parade.Panther House isclosedafter9:30 am. Now that the blacktop area in front of the church is gated off and no longer in use, Panther House will move its after school recess activities to the play structure, grass hill, and amphitheater. Please come to check your child out at the front counter as usual. We understand that you may not see your child immediately because we are at the back of Panther House. We will then have a staff member radio for your child. NOVEMBER CALENDARS:It's spooky to think it's already time to think about next month's family activities and send in your November calendar.Downloadhere. 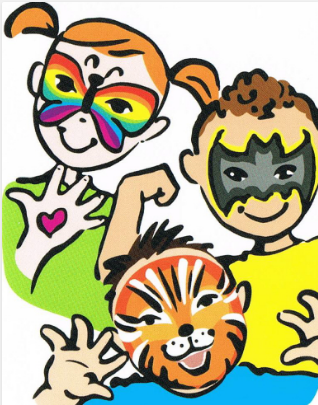 Same-Day/drop-in requestsare subject to capacity restrictions, so we may not be able to take your child on some days without prior a reservation. October 30:Halloween Celebration for registered Panther House families. Is your child signed up? November 3:Disaster Drill:noondismissal.Panther House closedafter9:30 am. Please join usthis Fridayat Cafe` Perpetuafor aspooktacularly good timeand we promise just treats no tricks!We will be featuring caramel apples, toffee poison apples, killer caramel corn, pumpkin cakes with buttercream frosting, mummy Kahlua cakes, spooky luminaries and more! The 'Road to College' workshop is thisThursday, October 26th, from6-7:30 pm.The 'Road to College' is a free presentation that provides strategies for identifying your child's passions to help pave the way for making your child's college admission dreams come true. Join us for this free seminar with Liz Paz-Rumore, JD, noted college placement specialist with a 15-year track record of preparing students for college and helping families afford it.Here is thelink to register. 'Shadow' visitswill be available most Mondays, Tuesdays & FridaysOctober 2 -November 27. Parents should registerhereto schedule a shadow visit.The online application is now open. Deadline for early bird registration and pricing isNovember 8.All applications for the class of 2022 are due byDecember 1.Carondelet Open Housewill take place onNovember 5th from 2 pm - 4pm. Clickherefor a flyer regarding Fall Events for Prospective Families.Open Housewill take place onNovember 5th, 10am - 1pm.Families are encouraged toregister herefor the Open House.Applications and Entrance Test registration can also be foundhere.